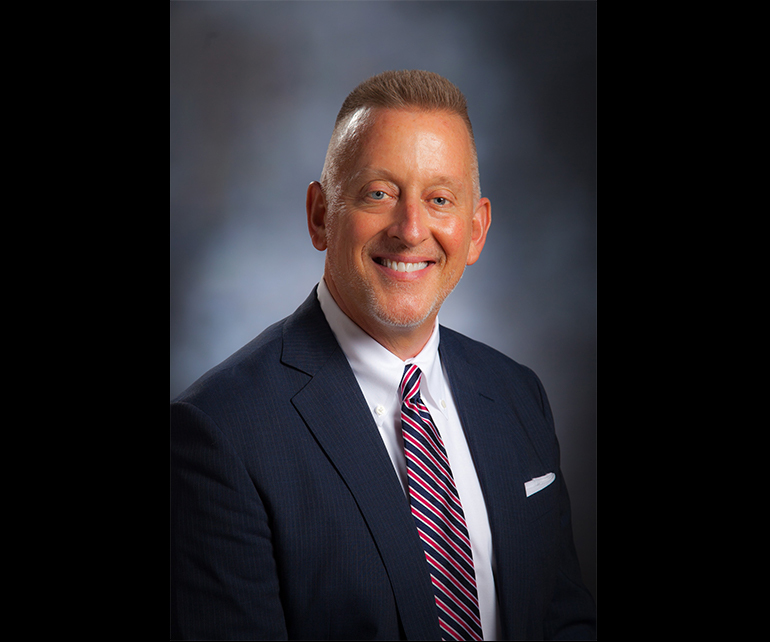 PUEBLO – Dr. Timothy Mottet will become the 15th president of Colorado State University - Pueblo, bringing with him a varied leadership career in academia and in private industry, and a focus on building an innovative, results-driven community of learning. Today the CSU System Board of Governors announced the selection of Mottet to succeed the current president of CSU-Pueblo, Lesley Di Mare, when she retires June 30. Mottet says he and his spouse, Rick Gonzalez, are drawn to the richness and diversity of the community of Pueblo. "I am honored, humbled, and grateful to be selected as the President of Colorado State University-Pueblo. Rick and I look forward to becoming a part of the Pueblo community and working together to elevate the university and community," Mottet said. The CSU Board of Governors began the search process last September after CSU-Pueblo’s current president, Lesley Di Mare, announced that she would retire on June 30. Di Mare became the 14th president of CSU-Pueblo in December 2011, and was the university’s first female president. As provost at Northwest Missouri State University, an institution of 6,600 students, Mottet led improvement of retention and completion goals for students through successful efforts to reduce the percentage of first-semester students struggling to succeed as they started college. During Mottet’s tenure, the percentage of first-semester students with less than a 2.0 GPA dropped from 22.4 to 19.4. Under Mottet’s leadership, enrollment at Northwest outperformed other institutions in the region, with a 14 percent increase in underrepresented students and a 23 percent increase in international student enrollment over a two-year period. Mottet and the CSU System Board of Governors have agreed to a five-year contract during which Mottet will earn an annual base salary of $250,000. Mottet’s appointment concludes an 8-month national search process that attracted nearly 100 initial applicants from across the country and included campus visits with four finalists. CSU System Governor Munn says throughout the search process Mottet earned strong support among a variety of stakeholders. “The passion for the value of learning and teaching, and for building community, which Tim brings is truly contagious, and through the search process he generated tremendous support in the campus forums and in the search committee, which included representatives of campus and the broader community,” Munn said. Mottet was a 2010 participant in Harvard University’s Management Development program for higher education leaders and is a 2016-17 Baldridge Executive Fellow as part of the Baldridge Performance Excellence Program through the U.S. Department of Commerce. He has co-authored four books and has published more than 60 peer-reviewed journal articles and book chapters. Timothy Mottet’s curriculum vitae is available on the Colorado State University System website. With an enrollment of nearly 4,500 students, Colorado State University-Pueblo is a fully accredited, regional comprehensive state university. The 275-acre campus is in Pueblo, an ethnically and culturally diverse community of more than 120,000 people less than two hours south of Denver. The campus landscape continues to evolve with a newly renovated library, a new $16 million general academic classroom building, an enhanced soccer/lacrosse stadium, and a current $30 million major renovation and expansion to the Occhiato University Center. The CSU-Pueblo campus boasts one of the most diverse student populations in the state with 33 percent reporting being of Hispanic descent; more than 55 percent of the freshmen in Fall 2016 reported being from a minority group. CSU-Pueblo is designated a Hispanic Serving Institution, a federal designation for schools who enroll more than 25 percent of students of Hispanic origin.